Home › Cloth Diapers › Dearest Diapers - Create My Stash! Do you want to Cloth Diaper but are unsure what you need? Are you overwhelmed with the Diaper and Accessories Options? Are you too busy to shop around and look for the best value? Don't worry, we will put your Cloth Diaper stash together for you! Everything you will need to Cloth Diaper your Little One successfully for about 2 days will be included in this package. (The Bare Bums Package will consist mostly of Covers & Prefolds. We will include other Diapers such as Pocket Diapers, All in Ones or All in Twos to round of your stash, but the majority will be Covers & Prefolds. The Accessories will include Diaper Liners, Detergent, Diaper Fasteners, Wetbag, Rashcream and more). (The Classic Cloth Package will consist mostly of Pocket Diapers & All in Ones, but again with this package like our others, we will include a few other Diaper Types as well. The Accessories will include a Diaper Sprayer, Diaper Liners, Detergent, Diaper Fasteners, Wetbags, Rashcreams, Wipes and more). (The Dapper Dude/Decadent Diva Package will consist mostly of Pocket Diapers, All in Two & All in Ones. You will also receive all Accessories: Diaper Sprayer, Diaper Liners, Detergent, Diaper Fastener, Wetbags, Rashcreams, Wipes, Wipe Solution, Diaper Pail and more). Pick the size you will need for your child (Newborn through 35+). Pick what size and style of diapers you would like for your stash. Pick from our 3 Packages available: Bare Bums, Classic Cloth or Dapper Dude/Decadent Diva. *Our Dearest Diapers - Create my Stash! 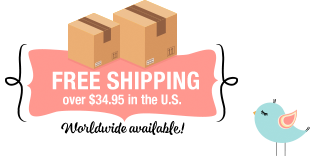 is already such an amazing Value, that we do not honor any additional %off Coupons or Discounts, except for our Free Shipping within the U.S. of course. *Your DD Stash is an Assortment of Products, however if you have a special request, you can leave a comment during checkout in the Notes section. We will try our best to accommodate your wishes, but can not give any guarantees. Our Dearest Diapers - Create my Stash! is GUARANTEED to Retail more than your actual Purchase Price!! !